Although I respect what Sharon Horgan has achieved as an award-winning comedy writer/actress, I find her style of humour too acidic for my tastes, and have never been able to watch any of her shows beyond the first episode… until now! Revisiting Hocus Pocus for Halloween* stoked up my crush on Sarah Jessica Parker again, and inspired me to check out her shiny-new TV series, Divorce, which was created and co-written by Horgan. The rather mixed reviews had initially made me quite wary of the show, but I ended up enjoying the pilot so much that I immediately wanted to binge down on the remaining three episodes that I’d foolishly let slip by. 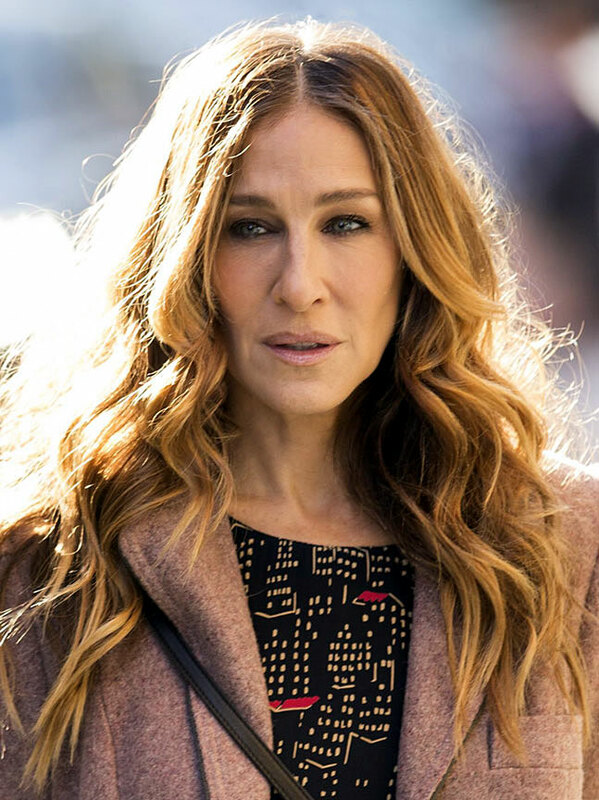 Generally-speaking, I don’t enjoy comedies about horrible people being horrible to each other, and (as a soppy romantic) I’m not a big fan of bitter-couple-bickering either… but SJP is such a magnetic actress that I just couldn’t look away, and I found enough genuine sweetness, sympathetic performances, and solid jokes here to take the curse off all the curdled malice and stupidity that the main characters (often) exhibit, as they negotiate the eponymous division of their assets/family/lives. At the risk of sounding superficial (too late! ), I also think the gorgeous snowy locations and classy cinematography help to sell it… along with fun supporting turns by Molly Shannon, Talia Balsam, and Jemaine Clement (who seems to be carving out a distinct post-Conchords career for himself as a loveable lothario, in stark contrast to his more innocent on-screen namesake!). * And, yes, it’s just as good the second-time around… though it’s a shame that Disney hasn’t released an updated/anniversary version yet… just a bare-bones, feature-less disc that starts playing as soon as the tray closes. Tch! This entry was posted in Rants about Films, Rants about TV and tagged Divorce, Hocus Pocus, Molly Shannon, Sarah Jessica Parker, Sharon Horgan, Talia Balsam. Bookmark the permalink.